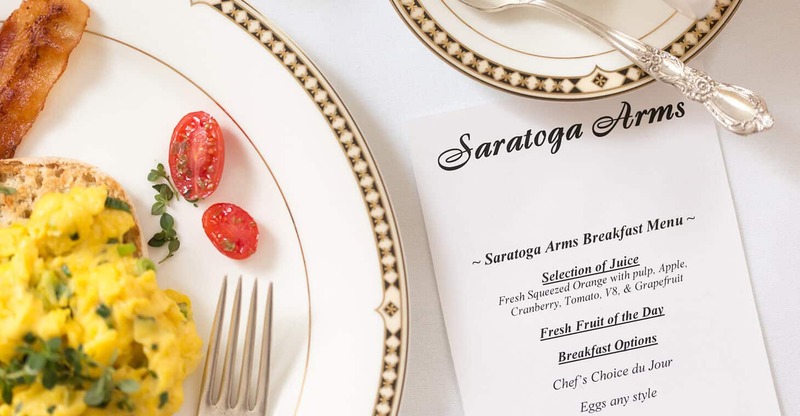 A great deal of attention is focused on all culinary aspects of our dining options at Saratoga Arms. 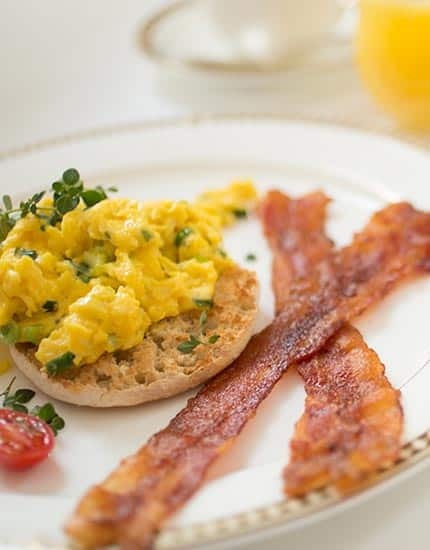 Our chef plans the menus at our Saratoga Springs bed and breakfast hotel and works closely with our staff to procure the freshest ingredients from local sources creating a farm-to-table cuisine. We work diligently to accommodate individual tastes and needs including vegan, gluten and dairy free. Our chef starts in the morning with our complimentary made-to-order breakfast to small plates throughout the afternoon and evening. Our wine, champagne and beer list is well thought out, and his menu for our executive meetings and retreats keep businesses repeatedly booking their next meeting with us. 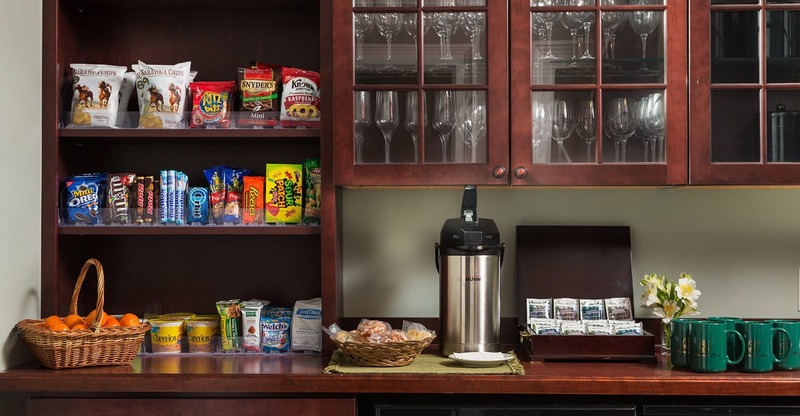 Even those items that are in our complimentary Guest Pantry at our Saratoga Springs NY Hotel are given thought so that there is something for everyone. 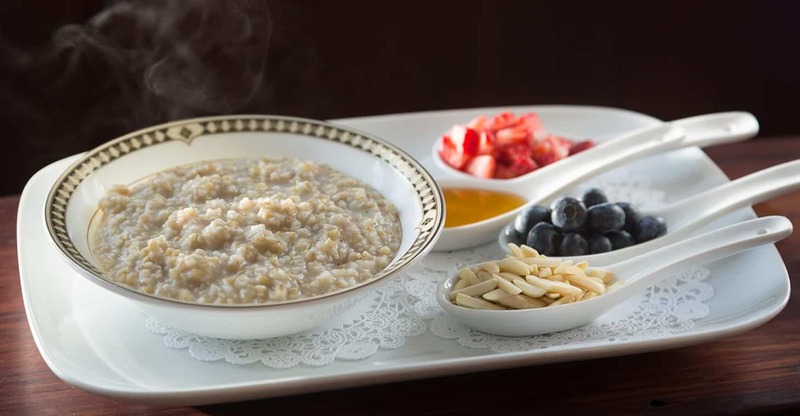 Wake up to our farm-to-table piping hot breakfast prepared by our chef just for you and select from our buffet of freshly baked goodies, local farm brown eggs, steel cut oats, fresh fruit, locally baked quiche, yogurt or gluten, vegan or dairy free selections that change daily. Your complimentary breakfast is served from 8:00 a.m. to 10:00 a.m. daily. No time? No problem. Our 24-hour free Guest Pantry at our Saratoga Springs bed and breakfast boutique hotel has freshly baked muffins, coffee, tea fruit and yogurt – on the go! Our guests are nuts about our 24-hour free guest pantry. It’s chocked full of some of your favorite snacks, including but not limited to M&Ms, Saratoga Potato Chips, chocolate bars, Chex Snacks, sodas, coffee and tea. Do you smell freshly baked cookies in the afternoon? It’s Saratoga Arms’ secret chocolate chip with potato chips cookies baking. You’ll find them in the Guest Pantry every evening when you return from dinner or a night out in Saratoga Springs. And for those trying to not go nuts, there is fresh fruit, yogurt and… nuts. We offer an extensive wine, champagne and beer menu for our Saratoga Arms Hotel guests. Celebrating a special occasion? We will have a special bottle of chilled champagne or wine waiting in your room upon arrival. During our warm weather months, relax on our famous Saratoga porch with a glass of wine or local craft beer. In the colder months return from dinner and relax by the fire in one of our parlors with a glass of wine or beer and a classic board game. We know that traveling can be exhausting. After 3 p.m. we offer our chef’s inspired small plates. 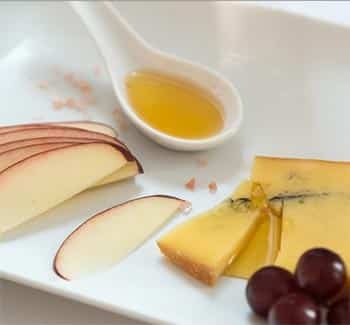 Whether it’s a cheese and fruit plate made with local cheeses, or veggie tapas platter, these specialty plates are perfect for those late night arrivals, or to accompany drinks on the porch in the early evening. Small plate menus change seasonally with available local fresh ingredients.